The LDP begins laying the ground for a bill on a deeply unpopular issue – the opening of casino resorts, which stir powerful anti-gambling emotions in Japan. The re-election of the LDP-backed Fumiko Hayashi as Mayor of Yokohama last weekend can be interpreted as granting a little breathing room to beleaguered Prime Minister Abe – but the real beneficiary of this election is not Abe himself, but the LDP’s push to open casino resorts in Japan. Yokohama is likely to be one of the first locations to host one of these resorts, and with Hayashi having comfortably defeated her anti-resort opponents, the government this week set about outlining the proposed regulations that will be included in a planned casino resort bill in the autumn. Legislatively speaking, this is tricky territory – especially for a government already deeply concerned about nosediving approval ratings. 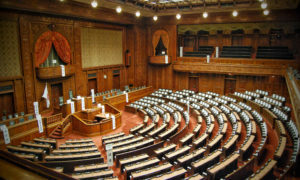 Plans to build casinos (or “Integrated Resorts”, the government’s preferred term) are immensely unpopular; after the Diet passed a bill last December legalising casinos and paving the way for the implementation bill now under discussion, a poll by the Kyodo news service suggested that fewer than 25% of the populace supported the move. NHK’s polling put the number at a mere 12%. 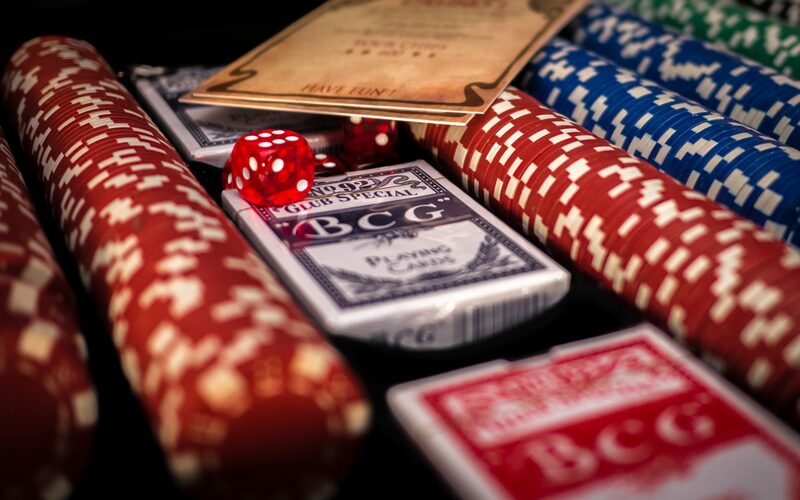 Much of that unpopularity is down to concerns about social ills associated with gambling. It doesn’t help, however, that the casino resorts were initially proposed as a way to revitalise struggling regions of Japan – but are now most likely to be built in places like Osaka and Yokohama instead, infuriating regional lobbyists who had formerly backed the plans. The proposals recommended for the casino implementation bill this week are correspondingly cautious. A once-mooted ban on Japanese citizens gambling at all has not materialised, but instead Japanese citizens will only be able to enter casinos a limited number of times, will be required to pay entrance fees and show their My Number cards when they arrive, and may only purchase chips with cash – with no ATMs being permitted on the premises. None of these restrictions will apply to foreign visitors, though “junket” operators (who work around restrictions on chip purchases by allowing high-rolling travellers to buy large quantities of chips before their casino trips) will seemingly be cut out of the loop, which means Chinese customers in particular will find their gambling limited by China’s regulations on how much currency they can take out of the country each year (around $50,000). Whether these proposals – along with regulations demanding that the Integrated Resorts feature not just casinos but hotels, convention centres, recreation facilities and systems for organising and booking domestic tourist activities – placate those opposed to their existence is rather uncertain. Mayor Hayashi’s re-election isn’t exactly a green light for a Yokohama casino (though it will likely be interpreted as such by the casino lobby); Hayashi carefully obfuscated her formerly positive position on casinos once she realised it wasn’t going down well with voters. Meanwhile the LDP’s coalition partner, Komeito, was split over last December’s bill and will have become no more comfortable with the notion of casinos since then; arguably the party’s most important internal grouping is its Women’s Bureau, representing the views of a huge number of women from middle- and lower-income households who are generally implacably opposed to any loosening of gambling laws. The reason for that opposition cuts to the heart of the issue the Japanese public has with casino resorts. While most gambling in Japan is illegal or very carefully regulated, pachinko (and its spin-off, Pachislo) halls are fixtures in every neighbourhood – in economically depressed areas, the noisy and brightly lit pachinko hall can often be the biggest building in the area. Since winning cash prizes is illegal, pachinko is technically a game, not a gambling pursuit. This technicality has been easily circumvented by operators; the teddy bear or slightly tawdry box of chocolates you win in pachinko can often be exchanged for cash far beyond its physical value at a small shop window nearby, legally operated by a different company to the pachinko hall itself. The police make occasional half-hearted nods to shutting down this practice – back in 2005, they charged 16 pachinko owners for facilitating “gambling by proxy”. In the same year, there were 15,165 pachinko halls in Japan, almost all of them likely running some variant on this scheme. As a consequence of pachinko’s status as a game, not gambling, it has managed to escape most regulation and scrutiny – but its social consequences remain severe and understanding of them is widespread. With no limits on how much players can spend and plenty of predatory loan sharks happy to fund players until they can get back their “winning streak”, pachinko losses can end up putting ordinary citizens on the hook to organised criminals. Even for those more capable of controlling their spending, pachinko can cause misery for families; speak to young people with bad relationships with their fathers, and high spending on pachinko while the family scraped to make ends meet is a depressingly common story. The Ministry of Internal Affairs’ latest figures show that around 14% of Japanese men play pachinko, rising to over one in five among men in their thirties, and the game turns over around $200 billion in revenue annually. While there’s been an uptick in younger players recently (perhaps helped by new pachinko machines derived from popular manga or videogames), the industry is in a long, slow decline; in the mid-nineties, 28.6% of men played pachinko, including over 40% of the cohort aged 20 to 50 – i.e. precisely the fathers whose expensive habits are still being complained about 20 years later, and likely still driving hugely negative national images of gambling as well. This is the opposition that the regulations set out in the autumn’s casino bill must placate. It’s the reason why a bill that might seem like a no-brainer, given the enormous success of casino resorts in Macau and Singapore and the recent huge rise in tourism to Japan from across Asia, is actually going to be a bill that absorbs an enormous amount of the government’s now extremely limited political capital. Last December’s casino legalisation bill demanded that the government introduce an implementation bill within 12 months, so this issue cannot easily be put to one side; given the unpopularity of both this issue and of the current government, the LDP may now wish that it hadn’t bound itself quite so tightly to the schedule.